Over 340 cadet musicians and 140 adult instructors from 34 counties from across the UK gathered at Altcar Training Camp in Merseyside in April for the 10th National Cadet Force Bands Concentration. 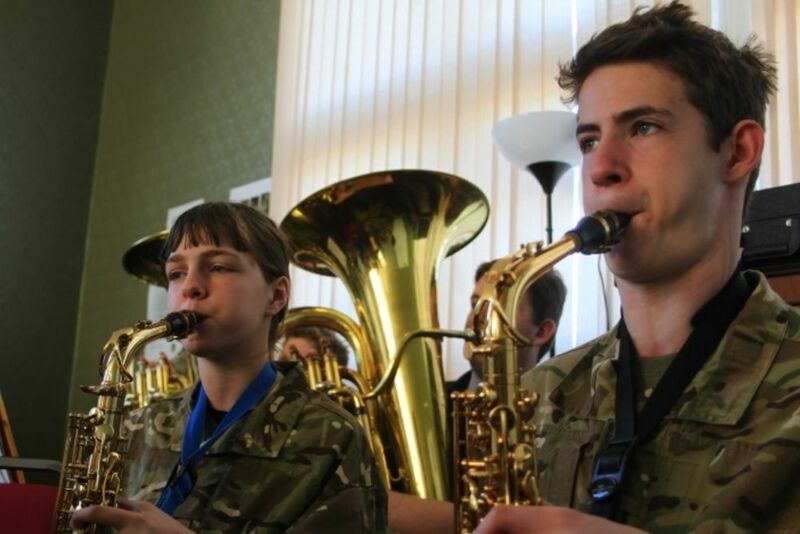 Young musicians from the Army Cadet Force and the Air Training Corps, aged between 12 and 18 years of age, received a week of expert musical tuition in all aspects of music, including concert band and marching band. The cadets follow a syllabus called the Music Army Proficiency Certificate (APC), which includes modules on Regimental Music, Engagement Planning, and Music Theory. 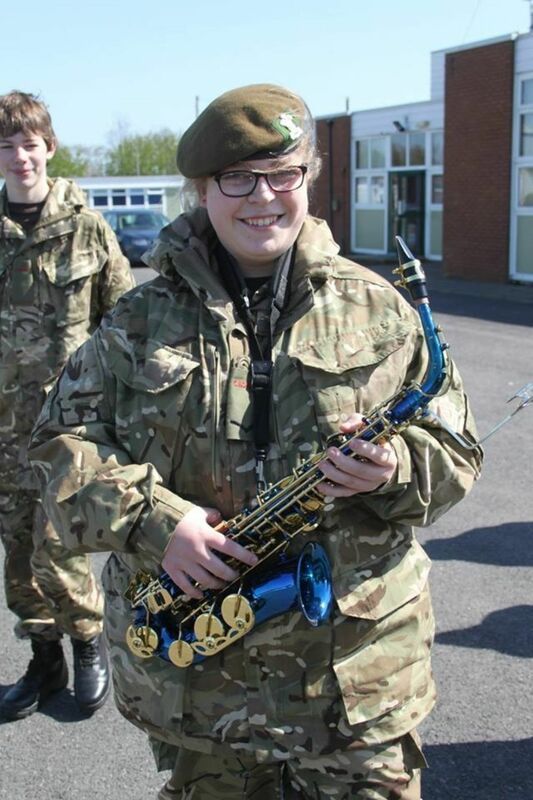 Cadets can also achieve Vocational Qualifications through Cadet Force Bands, with BTEC and DofE modules being completed by over 70 cadets at camp. Adult instructors also benefitted from professional tuition and mentoring from WO1 (BM) Sarah Marinescu of the Royal Military School of Music and WO1 (BM) Matthew Speight of the Queen’s (Minden) Band. Part of the cadet musical training involves learning the precision drill required for a marching band. Lance Sergeant Carson and Lance Sergeant Blakelock of the Army School of Ceremonial worked closely with all personnel to perfect their drill and assessed the Senior Drum Major and Senior Bugle Major competitions. 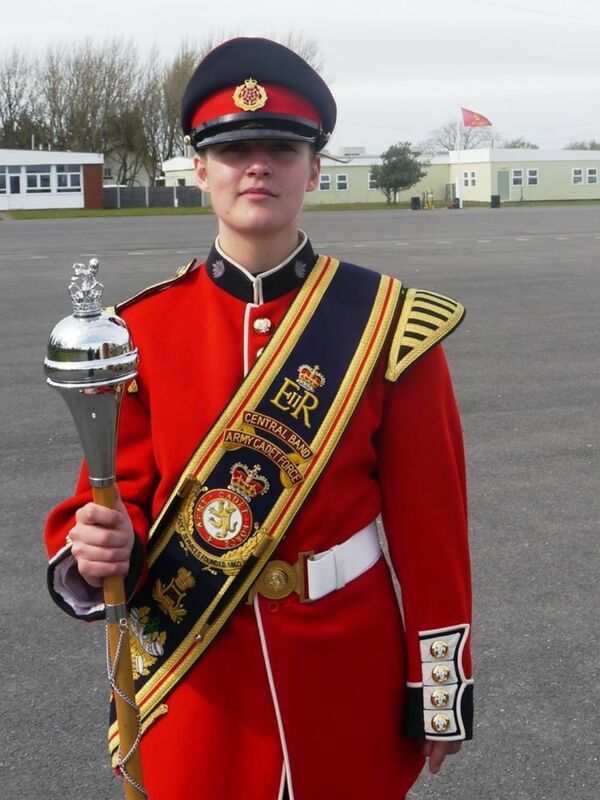 Company Sergeant Major Natalie Hamer of Lancashire ACF, was awarded Senior Drum Major – making her the most senior Drum Major in the Army Cadet Force. Senior Bugle Major was awarded to Cadet Bugle Major Downward of Shropshire ACF. Highlights of the concentration included a performance by the 3 Star and 4 Star Cadet Band and the 4 Star Corps of Drums, in front of an appreciative audience of local residents and Royal British Legion members at Ince Blundell Village Hall, on 16 April. 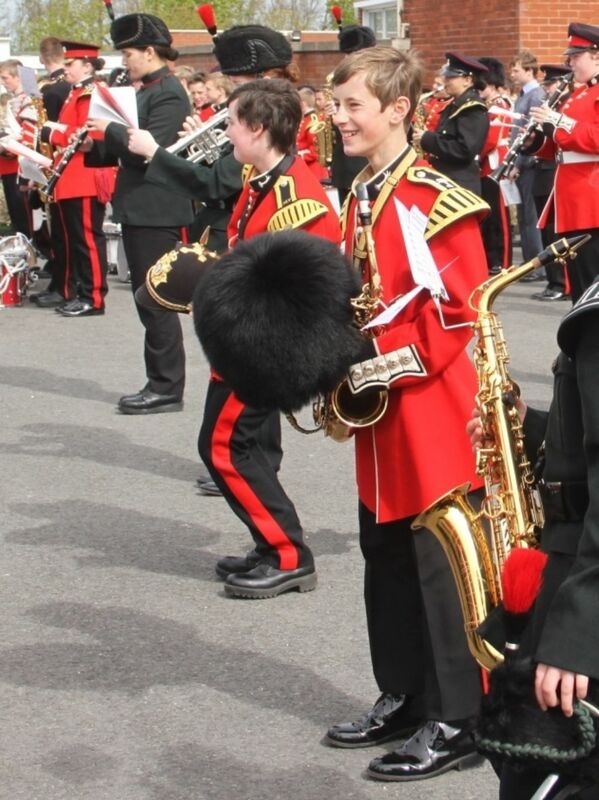 This was followed by the final parade on 17 April, with cadets forming one of the largest musical ensembles in the country. Prizes were awarded for the most improved cadet in each cadre, best cadet shot, and best student on the Adult Instructor Training Course.